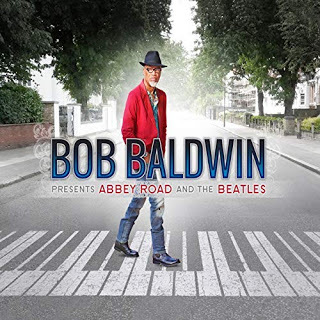 Through a pair of kaleidoscope eyes with an urban-jazz filter that Lucy in the Sky never imagined, keyboardist Bob Baldwin (www.BobBaldwin.com) puts a unique spin on ten of the Fab Four’s hits on “Bob Baldwin presents Abbey Road and The Beatles.” Instead of guitars as the primary instrumental voice, Baldwin’s piano and keyboards lead the explorations, adding jazz and soul inflections along with some original passages that Baldwin wrote for his 25th album, released in conjunction with his 30th anniversary as a recording artist. He also pays a heartfelt tribute to the legendary band with a new composition, “Abbey Road,” that he penned as a vocal duet with R&B singer Lori Williams. Coming together on the Baldwin-produced set are some noteworthy soloists. Saxophone heavyweight Euge Groove illuminates the first radio single, “Imagine (Living As One),” a re-conception of John Lennon’s masterpiece that is given a deep soul groove highlighted by Groove’s soprano horn. Dance music hitmaker CeCe Peniston surprises in an unexpected setting, joining Baldwin’s elegant piano passages on the comforting “(Don’t Wanna Be) The Fool on The Hill.” “Michelle (My Girl)” enchants in an entirely fresh way, romancing with a fragrant bouquet of Ragan Whiteside’s chart-topping flute fragrance. Williams’ rich voice shines brightly on Paul & Linda McCartney’s classy overture, “My Love.” The inventive rhythmic grooves Baldwin conceived for “Yesterday” and “Eleanor Rigby” exemplify his fully-realized artistic and creative vision for this project. In addition to repeatedly hitting the Billboard Top 20, Baldwin’s diverse catalogue that spans jazz of virtually every shade, R&B and gospel includes collections celebrating the music of Stevie Wonder, Michael Jackson and Thom Bell. A nationally syndicated radio show host and producer (“The New UrbanJazz Lounge”), serial entrepreneur, author and designer, “Abbey Road and The Beatles” caps an exceptionally prolific run for the Atlanta-based native New Yorker who dropped seven albums in a twelve-month span.